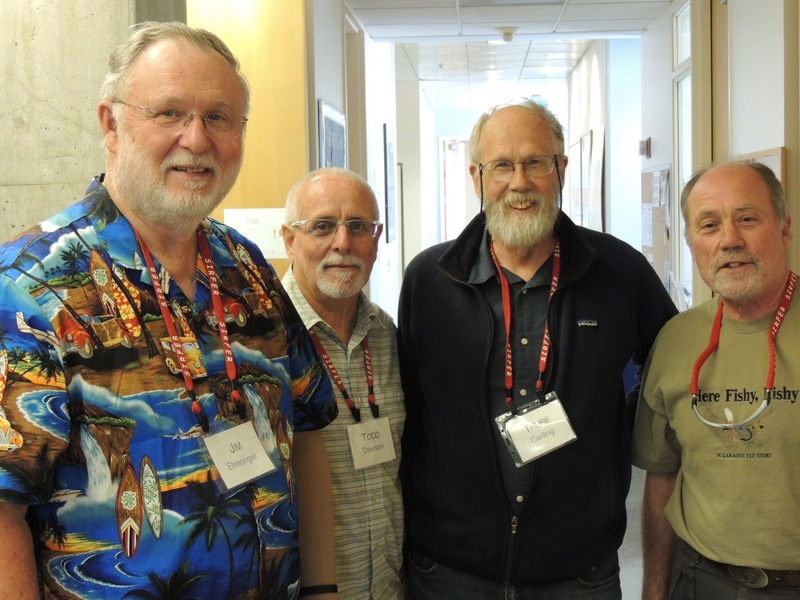 In 1996, University of Utah professors Jim Ehleringer and Thure Cerling, along with colleagues of theirs from around the country, welcomed 18 students to the U campus to teach them about the then-emerging science of analyzing stable isotopes to learn about biology and ecology. The instructors expected that within a few years they would have taught everyone who was interested in the scientific community and demand for the course would slow. “That hasn’t happened,” Ehleringer says. Twenty-two years and 800 students later, “IsoCamp” has become an award-winning, internationally recognized premier training short course for scientists looking to use stable isotopes in their research. For some, it’s the highlight of their graduate studies. For others, it’s the opening of a doorway to a career in STEM fields. Isotopes are everywhere and in everything. An isotope is just an atom that has a slightly different weight than other atoms of its element. Normally, an atom of carbon has 12 protons and 12 neutrons, surrounded by 12 electrons. Add one, or two, neutrons and you’ve got two, or three, different isotopes. Each is still carbon, but is now designated by its number of neutrons: carbon-12, carbon-13, or carbon-14. Neutrons don’t weigh that much – it would take 600 quintillion of them to equal the weight of a fruit fly – but that difference in weight between atoms matters. More on that in a minute. 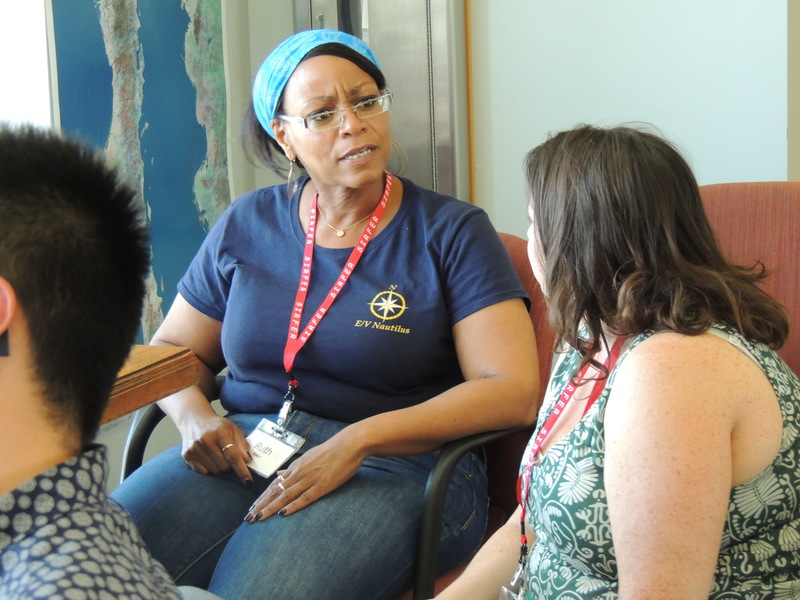 A student talks about her research with Isopope Ruth Blake of Yale University. How can this tell us anything useful? Imagine the open ocean, with the sun beating down and water vapor wafting up into the sky. The molecules of water with lighter isotopes of hydrogen and oxygen are more likely to evaporate, leaving heavier isotopes behind in the ocean. Now the water in the clouds has a different isotopic signature than the ocean – and you can tell whether a sample of water came more from one source or the other. Expand that concept further, and you’ll find that water samples from different parts of the country contain different ratios of isotopes, depending on their distance from the ocean. As we drink that water, it becomes part of our tissues, including our hair. Using isotopes, it’s entirely possible to retrace aspects of your travel history just by analyzing a strand of your hair. 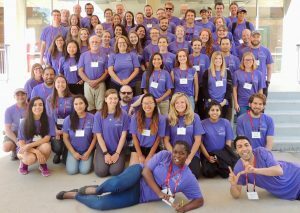 Today, IsoCamp welcomes 35 new participants (“isotopeteers”) to the U. campus for two weeks each June. Cerling says that typically more than 100 people apply, and participants are typically doctoral students whose research will involve stable isotopes. IsoPopes from 1996 through 2018 (left to right): Jim Ehleringer, Todd Dawson of U.C. Berkeley, Thure Cerling, Craig Cook of the University of Wyoming. Isotopeteers work in small groups to do stable isotope research projects, learning how to do all phases of the project: designing the experiment, collecting and analyzing the samples, and presenting the final result. “They’re learning the fabric of how science works in a collaborative interdisciplinary way, and the role of a team,” Ehleringer says. That drive to help students succeed carries over into the diversity of the camp, both in the participants and in the instructors. “Our instructor population and our student population look more like the world today,” Ehleringer says. Sixty percent of participants are women. A quarter come from groups underrepresented in science. Around 90 percent of IsoCamp participants stay in STEM fields. Some have returned as instructors. And two have been elected to the National Academy of Sciences, of which Cerling and Ehleringer are also members. Part of the community is the camp’s lingo, with a sort-of hierarchy. Students enter as “isotopeteers.” Instructors are affectionally dubbed “IsoPopes.” Ehleringer and Cerling even have miters. The highest rank, “IsoBard,” is reserved for the late John Hayes of Woods Hole Oceanographic Institution, stable isotope pioneer and former IsoCamp instructor.